MOTIVATED SELLER!!! Private Homosassa Hideaway!! 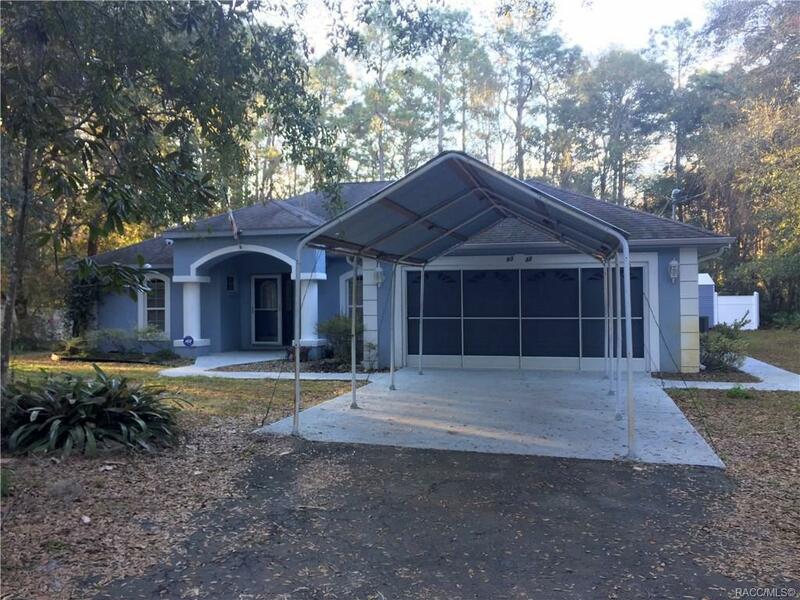 So much to offer (Privacy) and yet so close to everything, park, fire dept, Homosassa Springs, Restaurants, shopping. 2007 Split plan home with 3 bedrooms, 2 bathrooms, lots of closet space for storage, tile, Eat in Kitchen, formal dining space, wood cabinets, nice appliances, plant shelving. Master bedroom with tray ceilings, opens to back enclosed porch with In-ground pool. 2 sheds in your fenced private back yard for all your extra things. Patio for all your grilling needs. Sprinkler system, alarm system, and propane tank if you wanted to heat the pool! So many extras to offer. OWNER WILL OFFER FLOORING CREDIT with reasonable offers. Come take a look soon! !